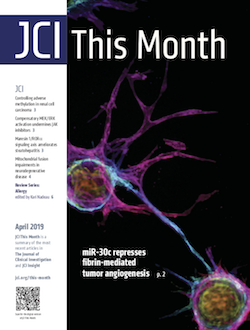 Because of the less than robust response to therapy and impact on choice of optimal chemotherapy and prognosis, chronic kidney disease has drawn attention in the treatment of multiple myeloma, a malignant hematologic disorder that can produce significant amounts of monoclonal immunoglobulin free light chains. These low molecular weight proteins are relatively freely filtered through the glomerulus and are reabsorbed by the proximal tubule. The present study demonstrated that during the process of metabolism of immunoglobulin free light chains, reactive oxygen species activated the Signal Transducer and Activator of Transcription 1 (STAT1) pathway in proximal tubule epithelium. STAT1 activation served as the seminal signaling molecule that produced the pro-inflammatory molecule, Interleukin-1β, as well as the pro-fibrotic agent, Transforming Growth Factor-β, by this portion of the nephron. These effects occurred in vivo and were produced specifically by the generation of hydrogen peroxide by the VL domain of the light chain. To the extent that the experiments reflect the human condition, these studies offered new insights into the pathogenesis of progressive kidney failure in the setting of lymphoproliferative disorders, such as multiple myeloma, that feature increased circulating levels of monoclonal immunoglobulin fragments that require metabolism by the kidney. Deep vein thrombosis (DVT), caused by alterations in venous homeostasis is the third most common cause of cardiovascular mortality; however, key molecular determinants in venous thrombosis have not been fully elucidated. Several lines of evidence indicate that DVT occurs at the intersection of dysregulated inflammation and coagulation. The enzyme ectonucleoside tri(di)phosphohydrolase (ENTPD1, also known as CD39) is a vascular ecto-apyrase on the surface of leukocytes and the endothelium that inhibits intravascular inflammation and thrombosis by hydrolysis of phosphodiester bonds from nucleotides released by activated cells. Here, we evaluated the contribution of CD39 to venous thrombosis in a restricted-flow model of murine inferior vena cava stenosis. CD39-deficiency conferred a >2-fold increase in venous thrombogenesis, characterized by increased leukocyte engagement, neutrophil extracellular trap formation, fibrin, and local activation of tissue factor in the thrombotic milieu. This was orchestrated by increased phosphorylation of the p65 subunit of NFκB, activation of the NLRP3 inflammasome, and interleukin-1β (IL-1β) release in CD39-deficient mice. Substantiating these findings, an IL-1β-neutralizing antibody attenuated the thrombosis risk in CD39-deficient mice. These data demonstrate that IL-1β is a key accelerant of venous thrombo-inflammation, which can be suppressed by CD39. CD39 inhibits in vivo crosstalk between inflammation and coagulation pathways, and is a critical vascular checkpoint in venous thrombosis. Preclinical studies demonstrate that rapid acting antidepressants, including ketamine require stimulation of mTORC1 signaling. This pathway is regulated by neuronal activity, endocrine and metabolic signals, notably the amino acid leucine, which activates mTORC1 signaling via binding to the upstream regulator sestrin. Here, we examined the antidepressant actions of NV-5138, a novel highly selective small molecule modulator of sestrin that penetrates the blood brain barrier. The results demonstrate that a single dose of NV-5138 produced rapid and long-lasting antidepressant effects, and rapidly reversed anhedonia caused by chronic stress exposure. The antidepressant actions of NV-5138 required BDNF release as the behavioral responses are blocked by infusion of a BDNF neutralizing antibody into the medial prefrontal cortex (mPFC) or in mice with a knock-in of a BDNF polymorphism that blocks activity dependent BDNF release. NV-5138 administration also rapidly increased synapse number and function in the mPFC, and reversed the synaptic deficits caused by chronic stress. Together, the results demonstrate that NV-5138 produced rapid synaptic and antidepressant behavioral responses via activation of the mTORC1 pathway and BDNF signaling, indicating that pharmacological modulation of sestrin is a novel approach for development of rapid acting antidepressants. Increased urinary oxalate excretion (hyperoxaluria) promotes the formation of calcium oxalate crystals. Monogenic diseases due to hepatic enzymes deficiency result in chronic hyperoxaluria, promoting end-stage renal disease in children and young adults. Ethylene glycol poisoning also results in hyperoxaluria promoting acute renal failure and frequently death. Stiripentol is an antiepileptic drug used to treat children affected by Dravet syndrome, possibly by inhibiting neuronal lactate dehydrogenase 5 isoenzyme. As this isoenzyme is also the last step of hepatic oxalate production, we hypothesized that Stiripentol would potentially reduce hepatic oxalate production and urine oxalate excretion. In vitro, Stiripentol decreased in a dose-dependent manner the synthesis of oxalate by hepatocytes. In vivo, Stiripentol oral administration reduced significantly urine oxalate excretion in rats. Stiripentol protected kidneys against calcium oxalate crystal deposits in acute ethylene glycol intoxication and chronic calcium oxalate nephropathy models. In both models, Stiripentol improved significantly renal function. Patients affected by Dravet syndrome and treated with Stiripentol had a lower urine oxalate excretion than control patients. A young girl affected by severe type I hyperoxaluria received Stiripentol for several weeks: urine oxalate excretion decreased by two-thirds. Stiripentol is a promising potential therapy against genetic hyperoxaluria and ethylene glycol poisoning. 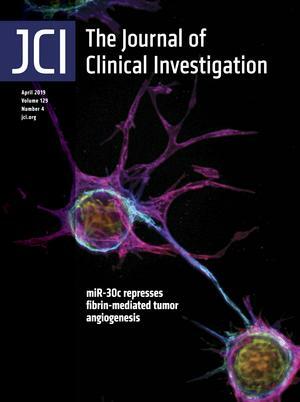 JCI This Month is a digest of the research, reviews, and other features published each month. The increasing prevalence of allergies worldwide has spurred numerous efforts to better understand risk factors and mechanisms underlying these potentially life-threatening immune responses. Coordinated by Series Editor Kari Nadeau, these reviews address our evolving understanding of the shared and distinct mechanisms underlying allergic diseases of the skin, respiratory system, and gastrointestinal tract. In topics ranging from the molecular and cellular basis of allergy to the influence of the central nervous system, microbiome, and environment, leaders in the field highlight major insights into allergic responses as well as new concepts in treating and preventing allergy.